Who doesn't love the beautiful ocean and the tropical flowers of an island town? Well we can tell you one thing, Marguerite and Henry definitely love them. He's a practical scientist and she's a dreamer and an environmentalist but they couldn't be more perfect for each other. They just moved to the tropical island of Maui from sunny San Diego, California. They both love the outdoors and they just picked out their gorgeous hibiscus watercolor wedding invitations for their tropical, fun-in-the-sun wedding. They instantly fell in love with the beautiful colors and the environmentally friendly aspect of these amazing, hand-painted invitations. The fact that these amazing invitations also provided the opportunity for a matching set was the last step for them. If you're the type of person that loves the outdoors and appreciates the environment then these gorgeous invitations are just what you're looking for too. 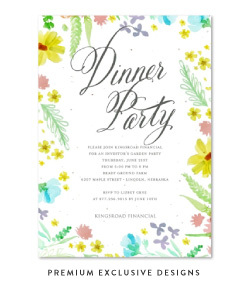 ForeverFiances offers a wide range out outdoorsy style invitations whether you're into the mountains, the forest or the tropics like Marguerite and Henry. The two fell in love by the ocean and they couldn't imagine a better depiction of their love than to the put memories of that ocean right on their invitations. All invitations from ForeverFiances are hand-painted. That means that each and every invitation that you choose is different from any other one that has been done before. And you can find the entire set of paper products that you need in your favorite design. So if you love the great outdoors like Marguerite and Henry, you can have all the paper products you need to show everyone that. And one more great thing about hibiscus watercolor wedding invitations and actually nearly all of the invitations from ForeverFiances is that they can be planted and grow into beautiful flowers or useful herbs. If you've been looking everywhere for the perfect invitations that showcase how you and your partner feel about each other than you should look no further than hibiscus watercolor wedding invitations from ForeverFiances. They will show off your amazing style and they'll show off the love that you have for each other as well. Your invitations should be a reflection of you and you'll have all the choices that you need to do just that when you and your outdoorsy wedding look for invitations at ForeverFiances. Marguerite and Henry are definitely happy that they did and you will be too. 1. They can be planted! Your wedding invitations are embedded with wildflowers seeds, therefore sprout wildflowers directly from the paper. Garden herbs plantable papers are also available, embedded with basil or tomatoes seeds for example. 2. 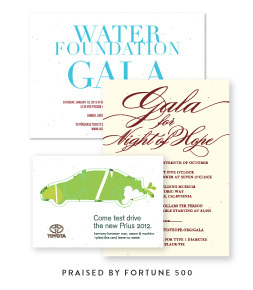 By choosing plantable invitations you are not just respecting the environment, you are re-creating it. Less waste to begin with (100% recycled paper) with natural dyes and organic printing process, your invitations will disintegrate in nature (100% biodegradable) and grow flowers or garden herbs, thus, create oxygen and life. 3. Be Unique-Create a Wow Effect - Your wedding invitation is the first impression you will make on your wedding guests. Your plantable wedding invitations are sure to be the most unique invitation your guests have ever received. Everything about the style and presentation of these unique invitations will amaze you and your guests. They will be surprised at the style and the idea of a plantable invitation. In fact, we've actually had guests call to inform us of their wonder at the 'wow effect' created by these invitations.